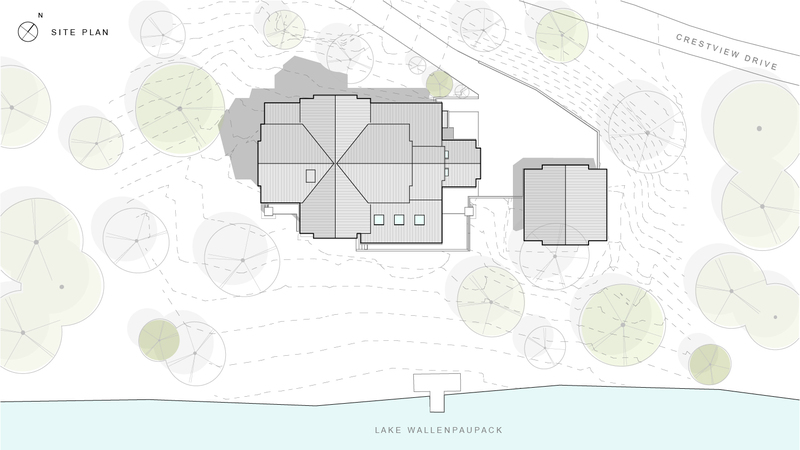 The site is a challenging lake front lot on a well-known recreational lake in Lakeville, Pennsylvania. 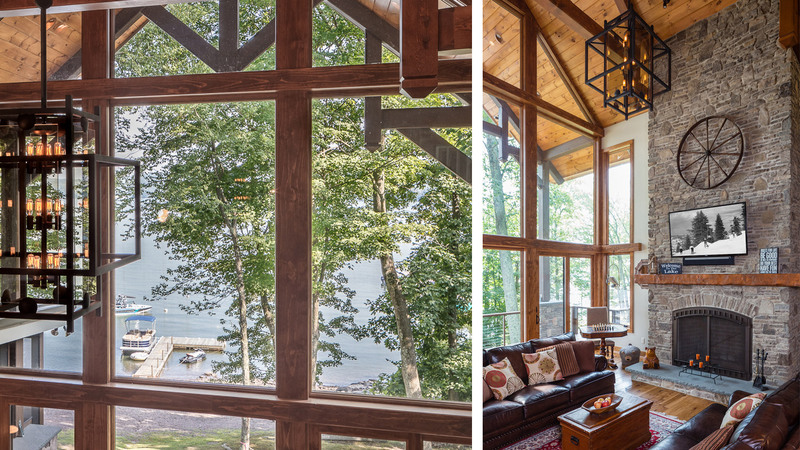 The property slopes from north to south with panoramic views of Lake Wallenpaupack to the south. 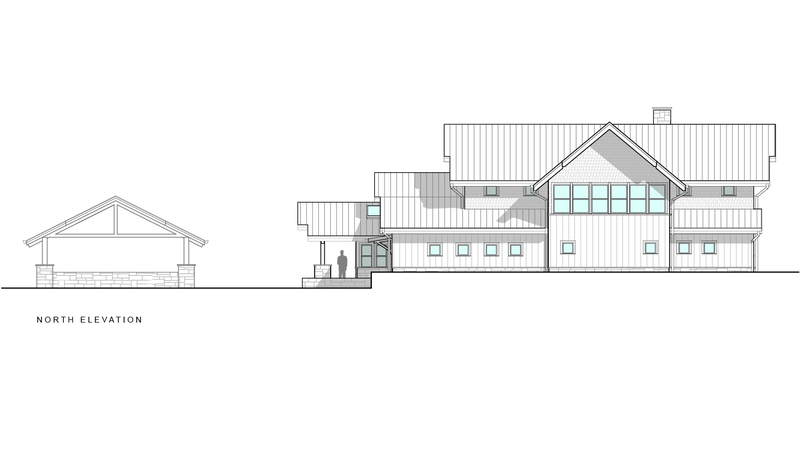 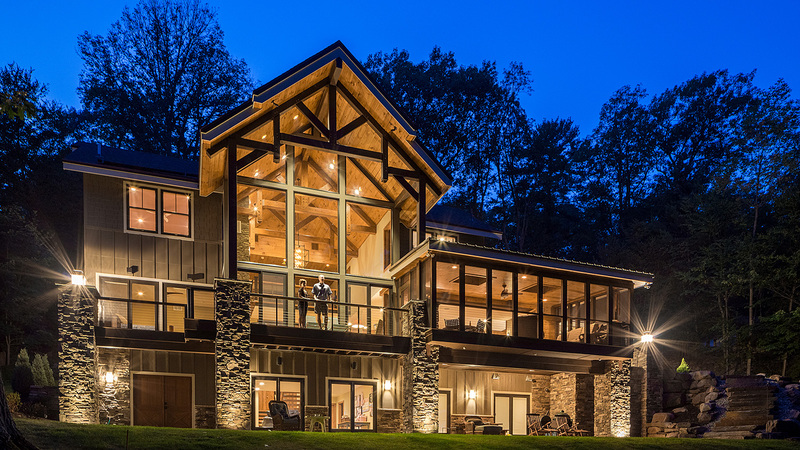 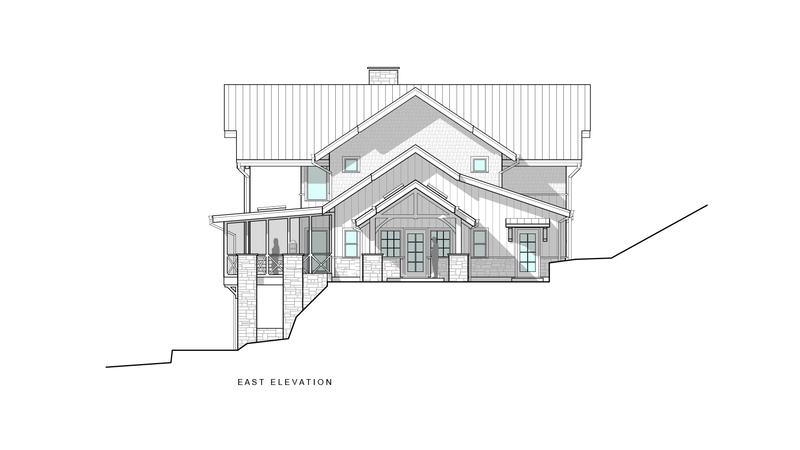 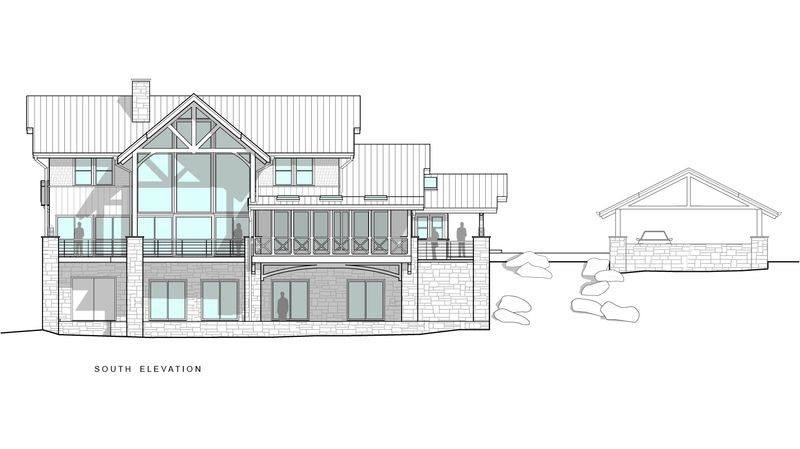 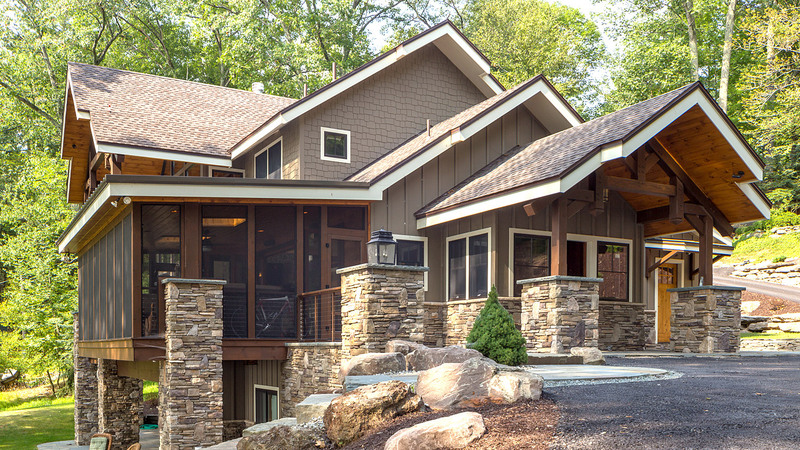 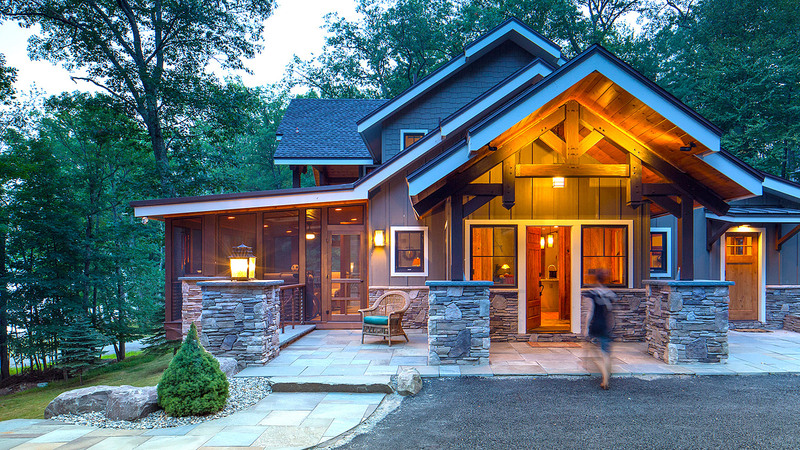 The owners wanted an open, spacious, and dramatic lodge to serve as a weekend retreat for their family. 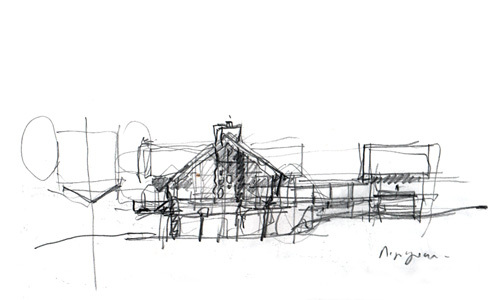 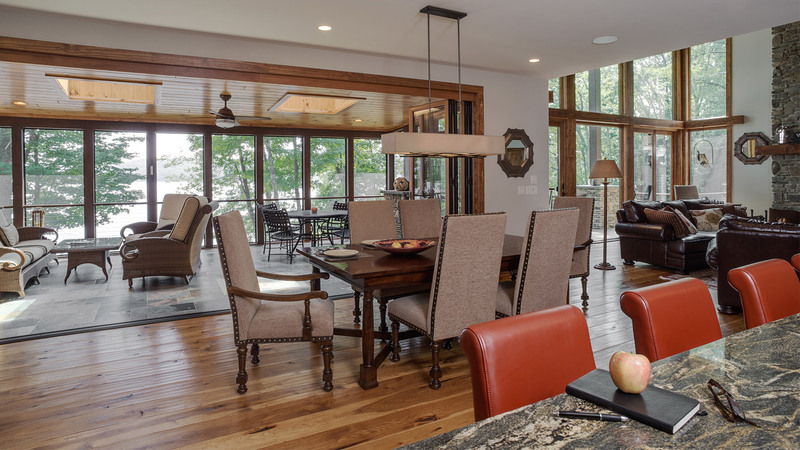 The design is rustic contemporary with a spacious open kitchen, dining, and living space overlooking the lake. 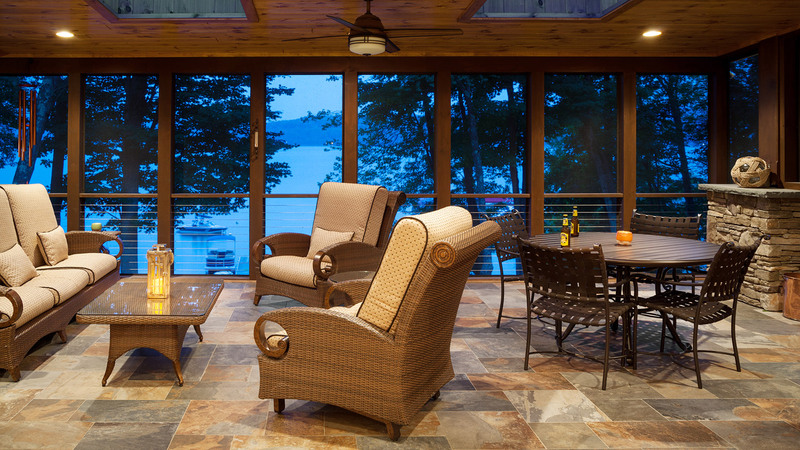 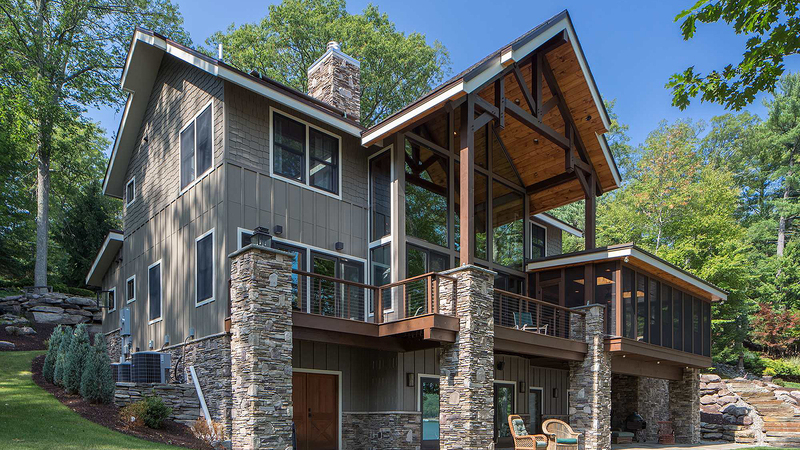 A large screened porch cantilevers over the property toward the lake with a disappearing folding wall opening the porch to the living spaces as weather permits. 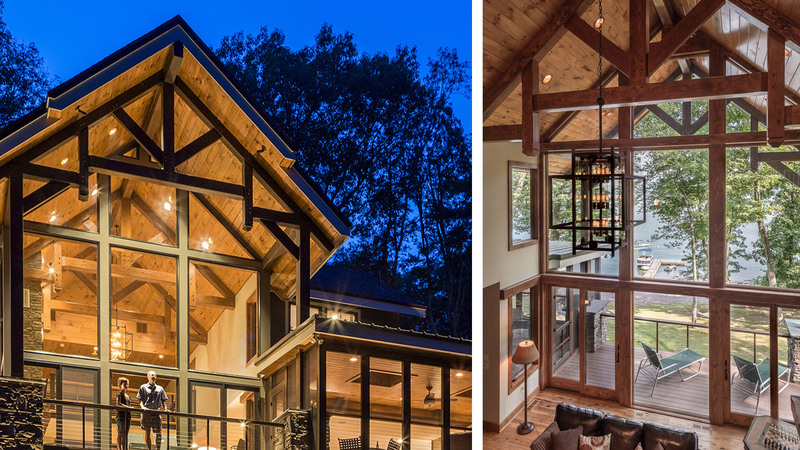 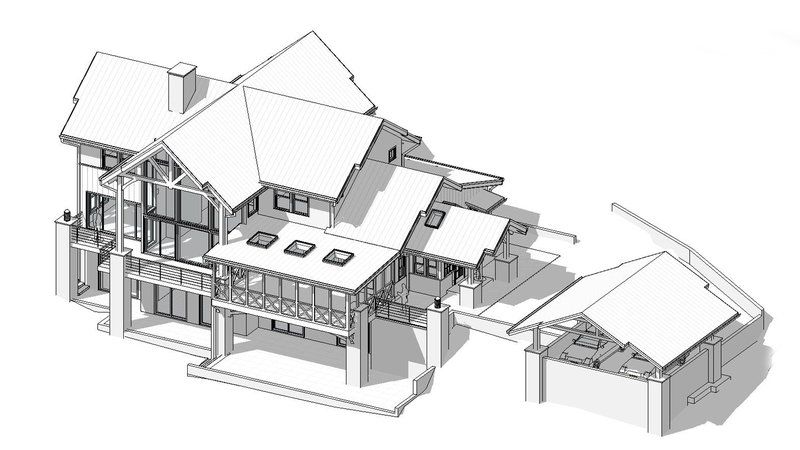 The two-story living room ceiling is supported by locally sourced Douglas Fir timber frame roof trusses. 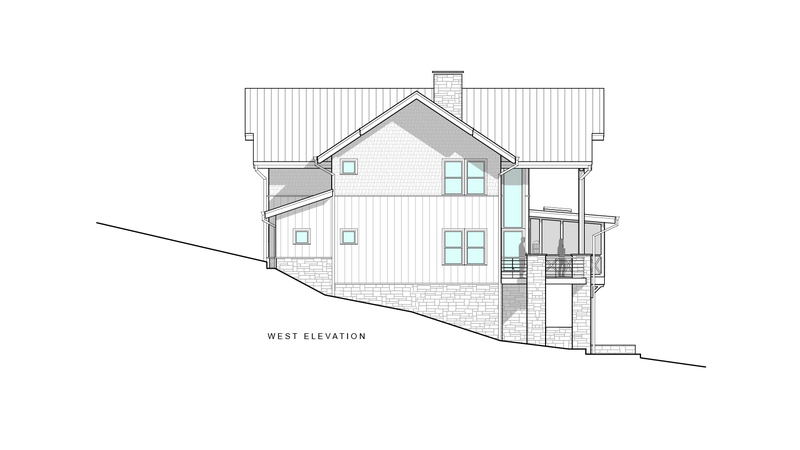 A two story stone fireplace serves to focus the dramatic first floor room. 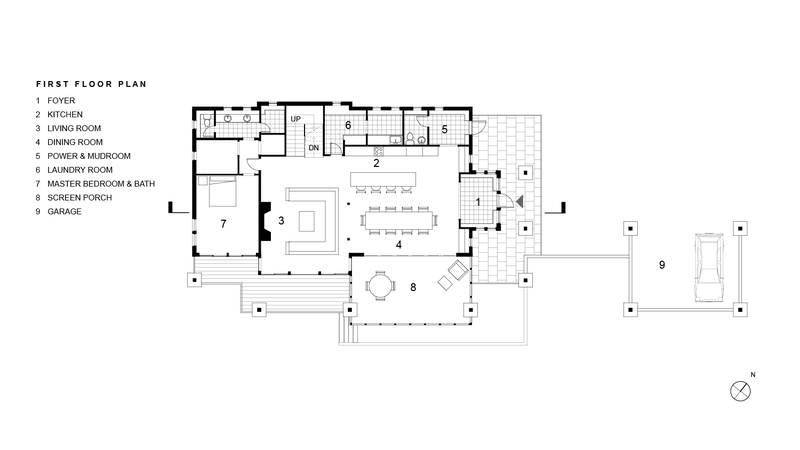 The first floor master suite has a private deck. 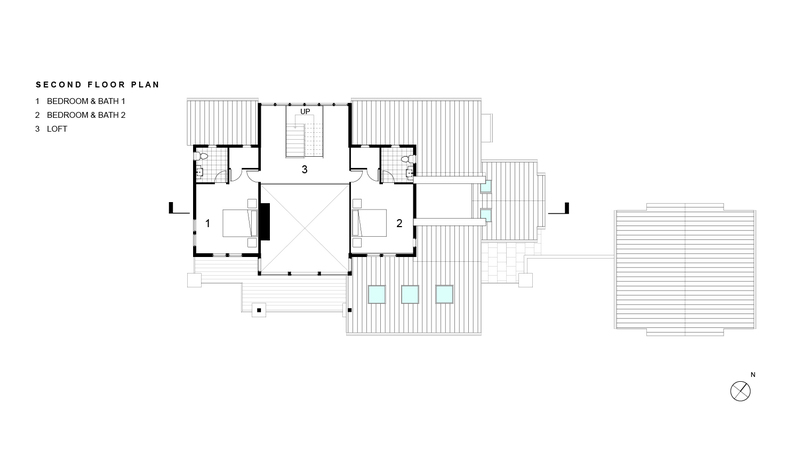 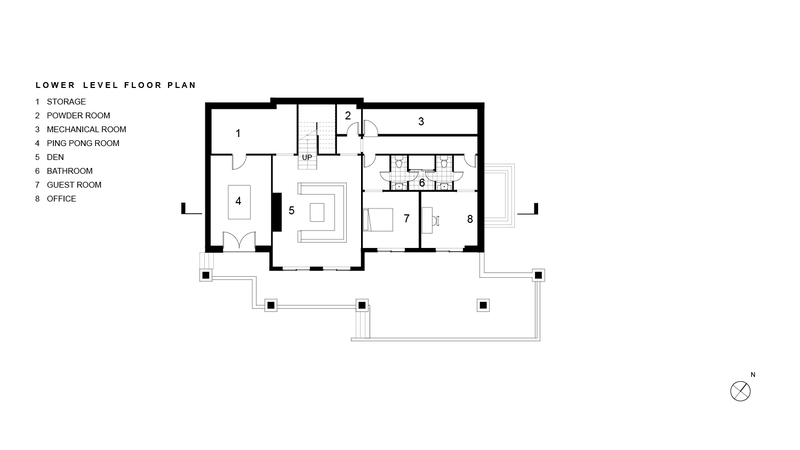 The second floor has bedrooms and a loft overlooking the first floor with views north and south. 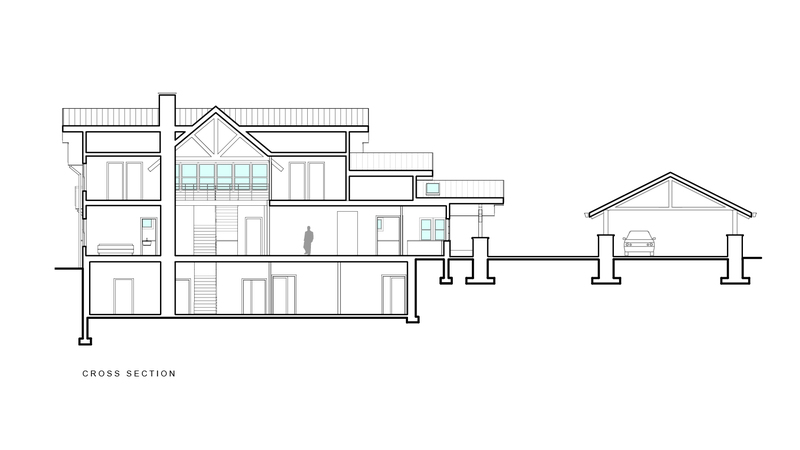 The lower level contains entertainment space, guest rooms, mechanicals, and storage.